Like any art form, acting encompasses many styles. Certain styles are more aesthetically supportive of a film's story, characters, and themes than are other styles. Acting can be theatrical and melodramatic (Who's Afraid of Virginia Wolfe, House of Yes), slightly theatrical and "stylized" (Bram Stoker's Dracula), hyper-stylized to the point of parody (Streets of Fire), hammy (Children Shouldn't Play with Dead Things, Blood Feast), deadpan (The Unbelievable Truth), scenery-chewing (William Shatner or Grayson Hall), or have the adults behave like children (Freaky Farley). Filmmaker Alex Bram (Body of Work) believes that realistic acting is especially beneficial for supernatural horror. Bram says: "I am devoted to realistic acting, although I work in a surreal genre. So often, the unrealistic and cartoon style acting seems to creep into these kinds of movies." 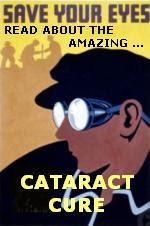 Realistic performances help ground the Unnatural in reality, making the unreal seem real to audiences. Critics have noted that one of Kolchak: The Night Stalker's strengths was that the show's supernatural monsters were offset by the cynical journalist, Carl Kolchak. If such a well-grounded character believed in the show's supernatural story elements, the viewer would more easily suspend disbelief. The X-Files similarly set the Unnatural in a realistic milieu, with FBI Special Agent Dana Scully serving as the show's cynic. (Of course, since Kolchak had no partner, he was both Scully and Mulder, his character arc beginning the series as Scully, then growing over time into the more open-minded Mulder). Realistic acting isn't always the best choice for a horror film, but it's a style that filmmakers might consider if the film's Unnatural Threat is especially incredible. 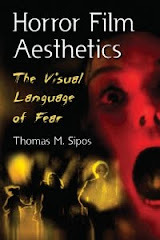 For more about acting styles and Unnatural Threats, see Horror Film Aesthetics: Creating the Visual Language of Fear. This blog represents a continuing discussion of my views on horror, picking up from where the book left off.